Pace Rehabilitation and The Active Amputee have teamed up to increase the reach of high quality information to amputees, enabling them to make well informed decisions in relation to their limb loss. Today’s article on osseointegration kicks of our collaboration. Over the coming months I will regularly share information provided by the experts from Pace Rehabilitation. Osseointegration surgery for lower limb amputees is not a new procedure. There has been experience with this technique within the UK since the 1990’s and overseas prior to this. Recently, a new wave of interest has formed with both non-military and military injured leg amputees regularly traveling abroad to undergo surgery. The procedure involves insertion of a titanium implant into the bone, as a part of one or two stage surgery. A period of gradual and increased loading through the implant then takes place which can be as little as two to three weeks before the patient is able to walk without the need of a prosthetic socket. 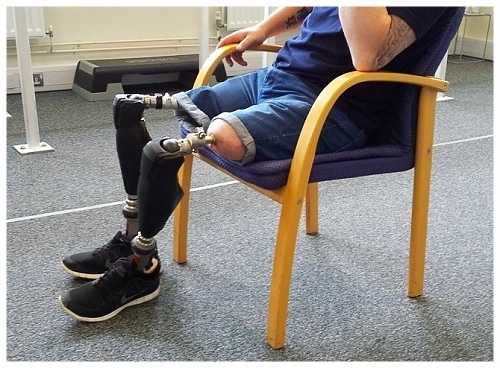 As a result, the unavoidable long term challenges associated with the use of a socket and pain free loading of the prosthesis, new levels of function can be achieved. Typically, Osseointegration has been an option for above the knee amputees. However, there is now increasing experience overseas where below the knee and upper limb amputees are receiving this technique. Previous concerns and reservations regarding infection, use in water and increased levels of impact are reducing with experience. Nevertheless, good hygiene and care around the site where the abutment protrudes out of the body, remains important. Faced with providing continual clinical prosthetic and physiotherapy support after surgery, clinicians at Pace Rehabilitation have actively sought out information overseas to assist in delivering high levels of clinical service closer to home. Members of the clinical team have travelled to Sweden, Germany and Australia to work and develop good relationships with surgical and rehabilitation teams. Often, travel has been accompanying a patient who is investigating osseointegration as an option they may wish to consider. This experience has been extremely valuable, providing the clinicians with a better understanding of the various techniques and connection options available. Pace has produced an osseointegration and integrated limb prostheses guide, to provide information to interested parties. Please click here to view the guide. Guest post by Pace Rehabilitation. This article was originally published by Pace Rehabilitation. For more information about Pace’s servives, please visit the website. Text and all pictures courtesy of Pace Rehabilitation.